Rarely does a week go by without another news report about an ambulance service or hospital under investigation by the federal government for fraud or abuse related to billing for transport services. Whether willful or unintentional, negligence that results in the billing of transport services at inappropriate levels is leaving many hospital-operated ambulance services at risk. And the scrutiny is only increasing. In its 2016 mid-year report, the U.S. Department of Health and Human Services Office of the Inspector General (OIG) outlined the areas of Medicare and Medicaid fraud and abuse that OIG officials are most intent on detecting and preventing.1 The list included fraudulent billing of ambulance transport services. In the report, the OIG described inappropriate payments for transports made by Medicare in the past and the department’s intentions to “examine Medicare claims data to assess the extent of questionable billing for ambulance services.” The OIG also plans to examine states’ Medicaid payments for medical transport and whether those payments comply with state and federal regulations. How are ambulance services billed to Medicare and Medicaid? Billing departments risk running into trouble when they seek a higher level of reimbursement than the transport actually warranted based on federal guidelines. Among the federally mandated levels of ground medical transport, specialty care transport receives the highest reimbursement and is often a source of confusion for hospital billing staff. The Center for Medicare and Medicaid Services (CMS) has stated that many transports billed as specialty care transport actually only qualify for ALS billing. This constitutes fraudulent billing and can result in recoupment of payments, fines and additional penalties. Hospital-based ambulance services are more likely to perform inter-facility transfers of patients putting them at a higher risk for making these billing errors than their public and private service counterparts. It’s critical that hospital executives have the confidence that their billing department or third-party billing contractor understands and follows the rules and regulations governing ambulance billing to avoid costly penalties associated with fraudulent billing of specialty care transports. How is specialty care transport defined? 3. The patient must require a higher level of ongoing care than that which an emergency medical technician-paramedic (EMT-P), without additional qualifications or specialty care certification, can provide. One source of confusion in billing specialty transport care is that although the definition of this type of transport is federally mandated, EMT-P licensing requirements are state-specific. What qualifies as a specialty care transport may differ from state to state based on differences in the EMT-P’s scope of practice. For example, in some states paramedics may be licensed to administer certain medications or blood products during medical transport. In other states, these services are not included in the paramedic’s scope of practice. Some states, however, have a less clearly defined scope of practice for paramedics and rely on the institution’s medical director to define protocols in line with standards for nationally registered paramedics. These locally defined scopes are likely to differ from one to another in these states and can be a source of misunderstanding. It is important that such protocols are consistent with national standards outlined by professional clinical associations. Another source of confusion may arise when the medical director at a facility defines the paramedic’s scope of practice as less expansive than the state licensing allows. As a result, a paramedic may be licensed to administer certain services by the state but not be permitted to do so at a particular facility. Where this is true, EMT-P state licensing requirements are still the go-to source for understanding whether a particular patient transport is a specialty care transport. If, for example, a medical director decides paramedics should not administer a particular medication at her facility, then when the medication is needed during transport a nurse may be required to accompany. However, if the state allows licensed paramedics to administer that medication, these transports would not qualify for the specialty care transport level of reimbursement. The patient’s medical needs, not the capability of the EMS providers, determine the appropriate level of reimbursement; assigning specialty care teams to transport patients who do not require their care is another potential source of fraudulent billing. For example, in a case where an infant is transported from one hospital’s NICU to another NICU, the critical care team may accompany the patient. However, if the patient is stable at the time of transport and does not require more care than a paramedic without additional training can provide, this transport would not be eligible for reimbursement at the specialty care level. In some hospitals, transport teams may include respiratory therapists or critical care nurses who are also licensed as paramedics to meet state requirements for ambulances. Based on the team’s qualifications, billing department staff might mistakenly assume every transport can be classified as specialty care. However, that would only be appropriate in cases when the patient’s status required care outside of the paramedic scope of practice. A complete chart, provided by the transporting crew, that is accurate, thorough and objective, is a key element in making the appropriate determination of the level of service for billing. Knowledge of the rules, by all parties involved in the billing process, is vital. “Upcoding,” whether through willful or unintentional negligence, is fraud and can lead to penalties and fines for the organization and its leadership. 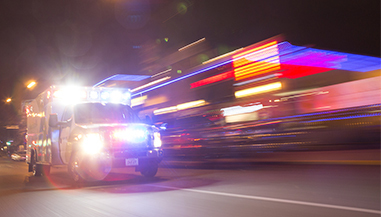 Given the potentially confusing regulations defining specialty care transport, here are four actions hospital finance and operations executives can take to avoid the hassle, fines and potential criminal penalties associated with the incorrect billing of ambulance services, particularly specialty care transport. A plan with clear, well-researched organizational rules that conform to federal guidelines can ensure organizations comply with federal regulations on medical transport billing. Any compliance plan should be a living document that is regularly reviewed, included in regular training for new and veteran employees, and communicated throughout the organization. Many hospital systems have one centralized billing department. A multitude of staff members, none of whom are trained in the intricacies of ambulance billing, may handle medical transport claims, with each person seeing just a few each month. Funneling these claims to a smaller number of staff members who have received specialized training improves efficiency, reduces risk and maximizes revenue. Regular internal reviews of transport billing practices are essential. External reviews and audits are also critical and should include a review of the entire process from dispatch to charting to billing. When errors are found refunds and self-reporting may be required to remedy the situation. Federal investigators are more likely to look favorably on hospitals that identify and proactively correct errors than organizations that wait for federal auditors to uncover the mistakes. Employing an external organization to review a random sample of Medicare and Medicaid claims can help identify, correct and prevent ambulance billing errors. External audits should be conducted at least annually or more frequently, if needed. Finally, a number of resources and educational opportunities exist for hospital billing staff to learn more about correct billing and coding practices, particularly for ambulance transport billing. CMS offers free guidance on billing compliance on its website, which can be used by staff or trainers to create compliance learning opportunities for hospital staff. Additionally, a number of billing and coding classes are available, including educational opportunities specific to ambulance billing. In the future, the definition of specialty care transport may be expanded to include transportation to non-hospital destinations as patient care is increasingly offered in a number of out-patient settings, including the patient’s home. Additionally, organizations like the Association for Critical Care Transport are advocating for changes in medical transport reimbursement so that payments account for the quality of care offered as well as the actual cost of transport, which may differ based on capital costs, type of vehicle used and staff training, etc. Ensure that you and your organization are aware of changes occurring in the ambulance industry. With strong compliance programs, frequent reviews and audits and appropriate education and training for billing staff, hospitals can reduce their risk and avoid becoming the next ambulance billing fraud story to make headlines. 1. U.S. Dept. of Health and Human Services Office of the Inspector General. Fiscal Year Work Plan 2016.